Nations dragged a deal over the line Saturday to implement the landmark 2015 Paris climate treaty after marathon U.N. talks that failed to match the ambition the world's most vulnerable countries need to avert dangerous global warming. Delegates from nearly 200 states after all-night wrangling finalized a common rule book designed to deliver the Paris goals of limiting global temperature rises to well below two degrees Celsius (3.6 Fahrenheit). "It has been a long road. 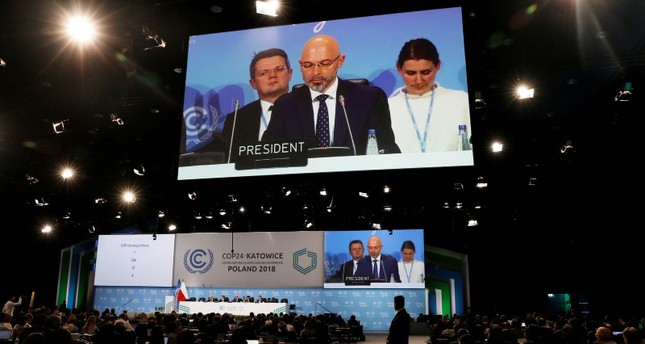 We did our best to leave no one behind," said COP24 President Michal Kurtyka before gavelling through the hard-won package of decisions after 13 days of gruelling negotiations. The U.N. talks were meant to provide firm guidelines for countries on how to transparently report their greenhouse gas emissions and their efforts to reduce them.